Recently I’ve loved watching the influence from clothes on the runways, to celebrities closets and to the high streets, the transition always allows space for a bit of individual interpretation of the trend, isn’t this what fashions about? Here are just two examples of spring trends that have made it from the catwalks to the sidewalks. Tibi runways included many textured culottes, by keeping them patterned they were preventing the awkward short look culottes can sometimes give you. 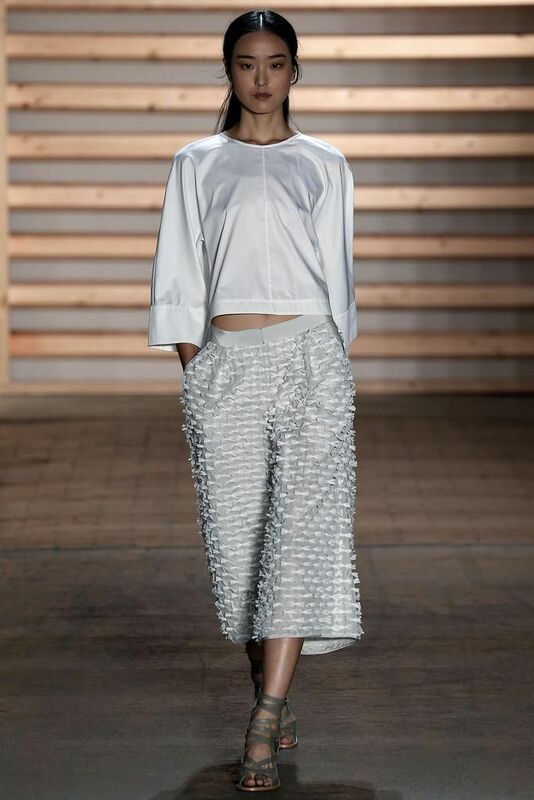 Tome culottes, I loved the light blue material which is be perfect for spring. 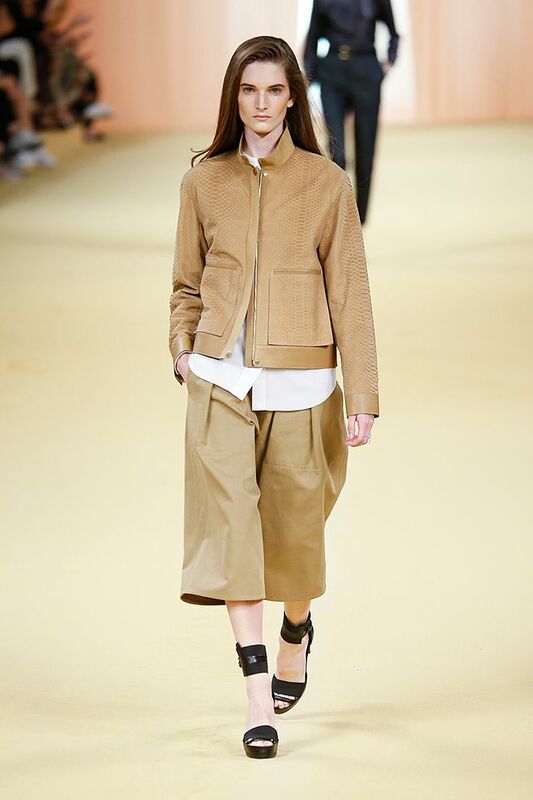 From Hermes to Adeam, runways have seen their fair share of culottes and it’s safe to say to say that they are back this spring, well they have already been back, although the slightly overwhelming and unusual garments may be preventing some hopping on the band wagon. They come in so many styles at the moment that there is sure to be a style to suit you- from straight leg to baggy. Rihanna wore a form fitting crop top and white culottes to the restaurant; Giorgio Baldi, L.A. The minimal outfit paired with black accessories is a favourite of mine. Kendall Jenner has been seen a lot lately in culottes. Focusing on co-ordinated contrast, the top provides a distinctive figure while her culottes flow more, much like Rihanna’s look above. The trick to pulling them off is to wear them with a form fitting top to avoid looking like a baggy old lady and opting for classic colours or pattern keeps the outfit looking put together. Cara Delevinge walking for Givenchy in crochet for their Spring collection. Who would have thought of these crochet two-pieces? Sibling brought these beauties to the runways this spring. I loved the detailing on this Emilio Pucci poncho paired with suede boots. Jaime King was pictured wearing a beautiful crochet dress earlier this month while pregnant, her street style is gorgeous. Pair matching coloured cardigan and dress with golden shoes for a minimalists look. Kim Kardashian although is more brave than most in the (little) amount of crochet she is wearing, she make what could have been a simple black top look so much more elegant, I love it. Here are two trends that I think we will be seeing more and more due to the influence from the runways, especially crochet I really like how it can be so simple but look so detailed, just look at the Givenchy dress above! Which is your favourite trend?